The giant-print Common English Pulpit Bible features a sturdy, padded hardcover binding with elegant gold foil embossing that will compliment any worship setting. 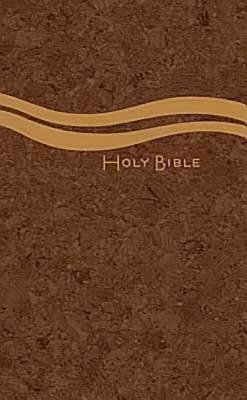 Plus the easy-to-see 16 point type, comfortable-to-read-aloud Common English Bible translation, and in-text subject headings make this Bible the perfect choice for public worship. 8 13/32" x 10 5/8". ABOUT THE TRANSLATION: The Common English Bible is perfectly suited for use in public worship and reading aloud. This bold new version avoids obscure words and outdated phrases, removing language barriers to ensure an enjoyable, natural reading experience for young and old, believers and seekers. The result is a completely accurate translation of the original texts that's relevant, readable, reliable, and easily understood today. 8 13/32" x 10 5/8"